As some of you may know, we have an Elf. His name is Twinkle, and we have a LOT of fun with him! I thought I would share with you this morning, my top 5 favorite tricks that Twinkle played on us this year (so far!) 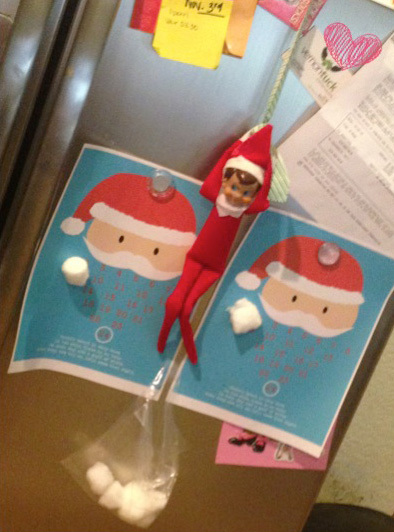 and see what some of your favorite Elf on the Shelf ideas were! 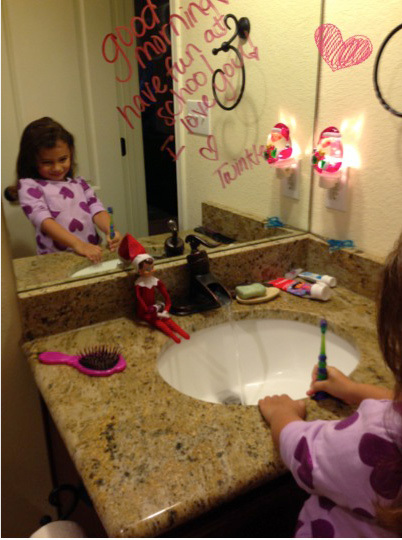 Share with us down in the comments what your Elf did this year, and post a picture if you can! 1. 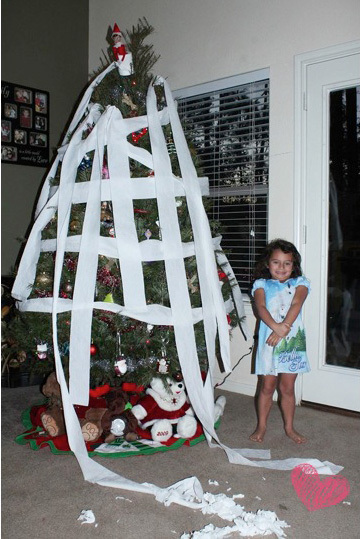 This is my favorite so far, yesterday Twinkle TP’d the tree. 2. 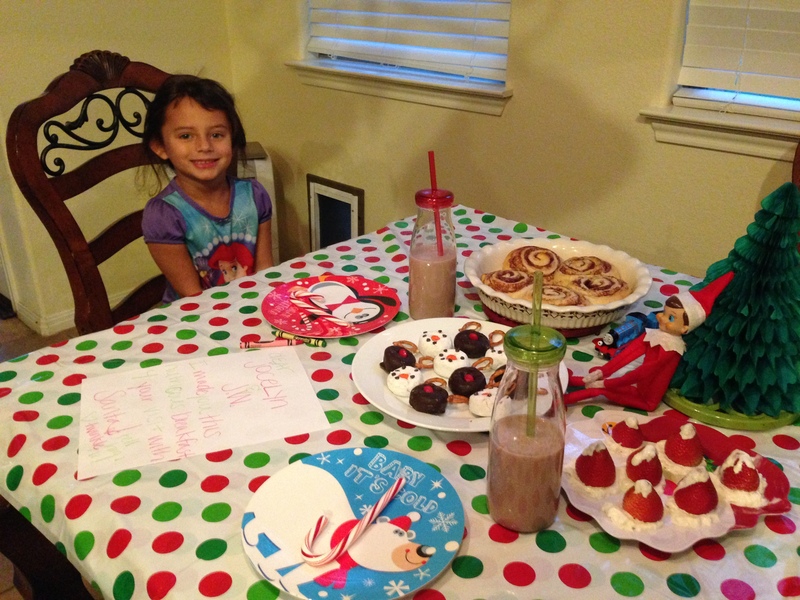 Of course there was the North Pole Breakfast. 3. 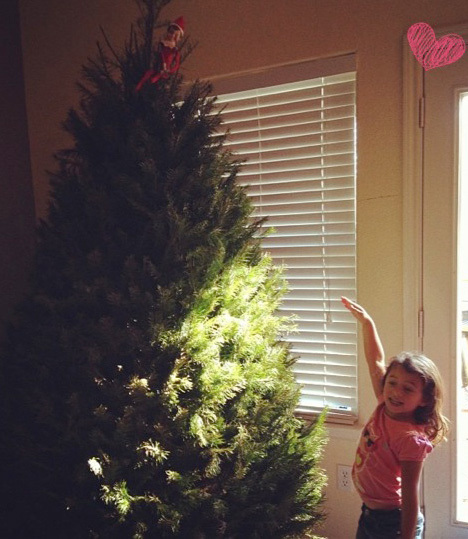 Twinkle also brought us our Tree so we could decorate it. 4. This morning before school he left little Ms. J a note on the mirror. 5. And last but not least, the cute little advent calendar that he brought to us on December 1st! I have so much fun playing tricks with Twinkle! And luckily my 5 year old gets really excited about it! Mornings are my worst time of day, but during Christmas, I can’t WAIT to get up and see what he’s been up to!